The Lumbee are a Native American people who primarily (over 85%) reside in North Carolina with the largest population residing in counties of Robeson, Hoke, Cumberland and Scotland. Traditionally, they spoke Lumbee. Over time, Lumbee was mixed with English of the North Carolina Colony so that today many speak what known as Lumbee English. 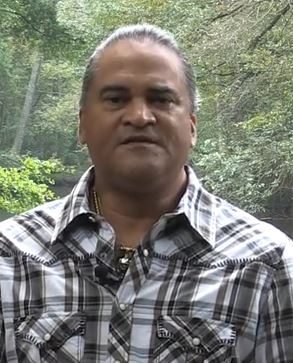 To learn more, watch a Lumbee English video. Their ancestors were mainly Cheraw and related Siouan-speaking Indians. Religiously, the majority are Christian with backgrounds in Methodists, Baptists, and Pentecostals. Methodism is traced back to 1787. They also created two church conferences of Indian congregations: the Burnt Swamp Baptist Association, founded around 1880, and the Lumbee River Conference of the Holiness Methodist Association in 1900. To learn more, see the Lumbee Tribe of North Carolina website. Pray Lumbee Christians will obey the Great Commission and go to all nations sharing the message of hope through Jesus Christ. Pray Lumbee Christians will exemplify Christ in their daily affairs of life. Pray Lumbee Christians will grow in their faith in Christ. Pray that God will provide for the physical and spiritual needs for Lumbee people.